At first sight, I expected Shanghai Shanghai to be frou frou Chinese food at frou frou prices, but actually, it was one of the better chinese food experiences I've had here in Taipei. The food is very flavorful and fresh, unlike some other places which look fancy, but don't taste as good as it looks. We chose the set lunch menu where you could select 3 dishes for 2 people from a page of choices, and included soup, fruit and dessert for NT$450 each person- which is a good deal considering that you would probably pay that amount just for 1 dish. While the menu is in English and Chinese (no pictures), the set menu page was only in Chinese. 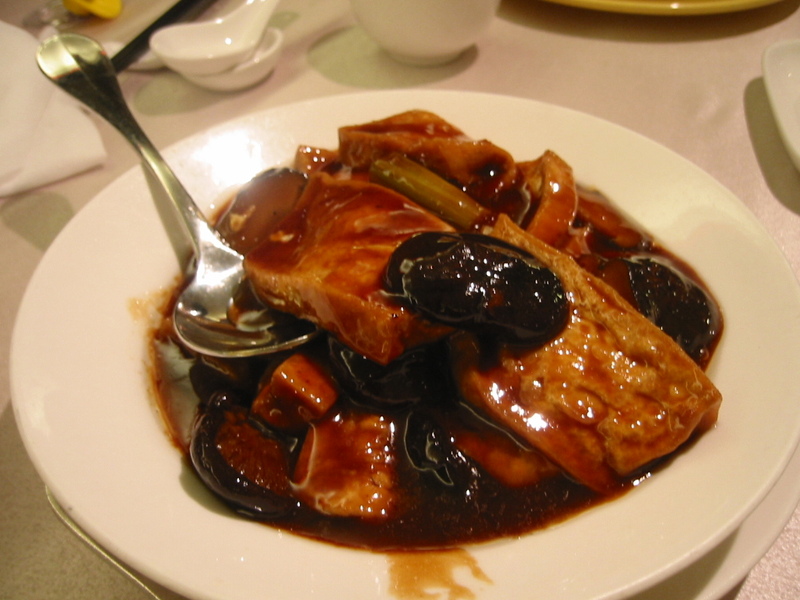 They had very traditional dishes with soups, appetizers, beef, chicken, seafood, and noodles. I also spotted some other dishes that my relatives would like, but I wouldn't eat, like frog legs. Even though we had two fussy toddlers, the service was friendly and helpful towards us- with high chairs and toddler plates/cups/spoons. Everyone else in the restaurant were older Chinese patrons or businessmen, and we were thoughtfully seated further away so the kids could be their noisy selves. I told what my friend what I generally liked and didn't like and she ordered some braised tofu and mushrooms, greens with shrimp, and beef and bamboo. All the dishes arrived about the same time, with sizeable dishes, especially for just us two. Dishes come with large bowls of rice and a soup. I liked all the dishes- they were perfectly seasoned and I would have finished the dishes if I weren't so full. It would have been enough food to share with 3 or 4 people. 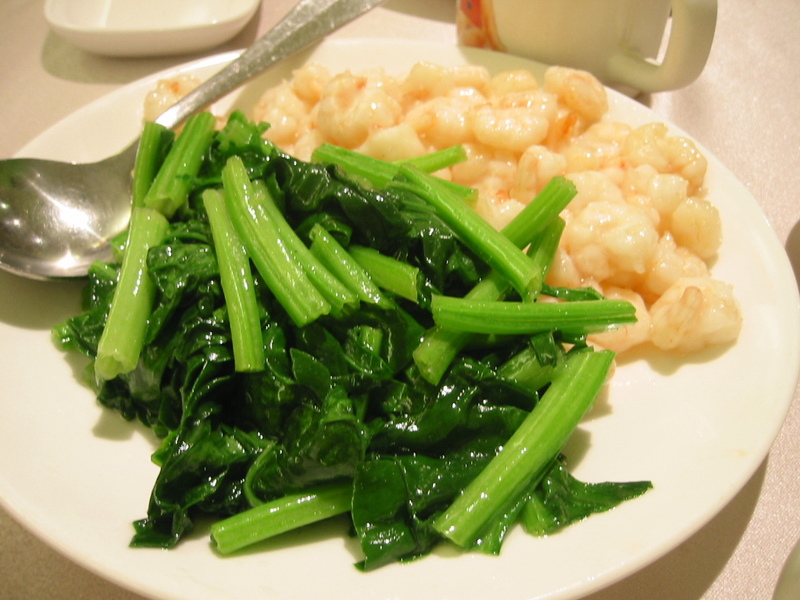 I would pop the baby shrimps quickly into my mouth and the lighter flavors of the vegetables were a good match with the hearty flavors of the tofu and mushroom. 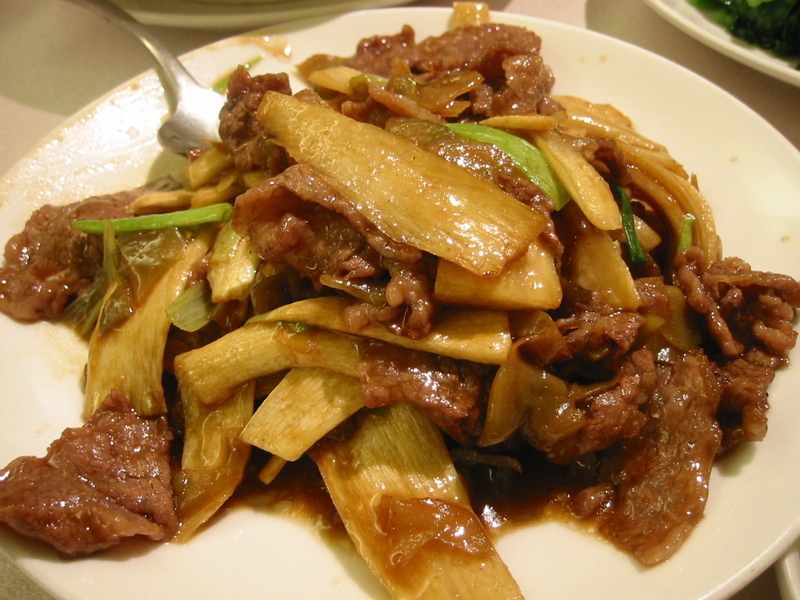 The paper thin slices of bamboo and beef were also a good combination of textures of crunchy and tenderness. The lunch ended with a sweet green bean dessert soup and fruit plate. I would definitely take my family or friends here again. My friend said their soup dumplings or xiao long bao are also very good here. If you ask your Chinese speaking friends about it- it's Chinese name is actually "Red Bean." It's a chain restaurant with 5 Taipei locations, so if you see it the next time you are out and about, you should definitely consider giving it a try. Ooooh... Kong qing cai. I love that stuff. seeing all your pics makes me hungry! i'm jealous i don't have access all the time! I went there three times for different reasons and all had a good time. First time, we went with a friend for chatting. Second time, I treated a friend for a favor from her. Third time, I was looking for a place which is suitable for elder people. As a Chinese, I believe that it's really important to have lots of restaurant information before choosing the one. Because a right restaurant can bring me the good mood for a long time. My aunt just treated me to dinner there tonight and I had the best green beans (四季豆) I have ever had. Crispy and wonderful with rice, and no oil pool at the bottom! Their grouper wasn't too bad either. chubbypanda: yes, it's pretty good! rosana: come back and visit again soon! dianne:mm, thanks for letting us know!